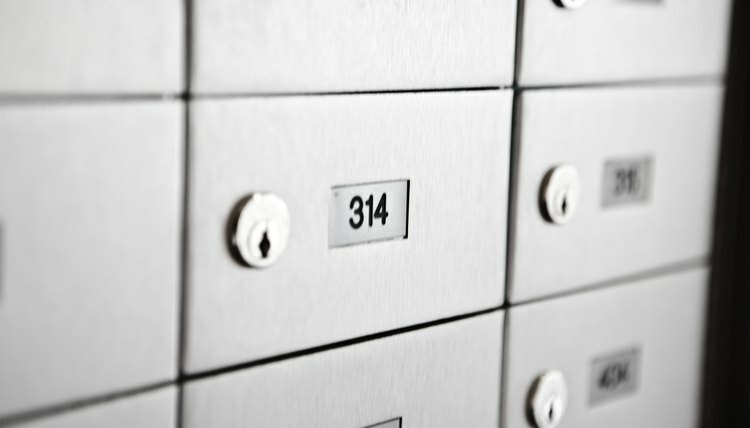 Can You Use a PO Box for a Divorce? Filing for divorce requires you to inform the court of your whereabouts. This ensures both the court and your spouse are able to contact you throughout the divorce proceedings. Therefore, you must provide your contact information, including your mailing address, on the divorce petition and other court documents. Unless the court specifically requires a street address, you can use a P.O. Box as your address on all divorce paperwork and on any correspondence between you and your spouse. When you file for divorce or respond to your spouse's divorce petition, you will be required to include your address on this and other documents. In fact, the instructions or form itself will ask you to provide either a street address or P.O. Box. For example, in the instructions for Ohio's divorce complaint, the applicant is asked to include a P.O. Box, if applicable. On Vermont's summons form, which is sent along with the petition, the parties' apartment or P.O. Box number is requested in the address section. In the instructions for Arizona's divorce petition, the applicant is advised to provide a P.O. Box if she has an order of protection against her spouse. By providing a P.O. Box, your spouse and the court can contact you by mail and send documents related to your divorce, and if there's a concern for your safety, this can also prevent your spouse from knowing where you are. What Happens After Filing for Divorce in Oregon? If your husband skips out on your marriage and disappears, it complicates the divorce process, but it won't stop you from dissolving your marriage. All 50 states, including Mississippi, allow no-fault divorce, leaving you to divorce on the grounds your marital relationship is irreconcilable. However, a petition for divorce requires you to serve notice of the divorce on your husband; therefore, you must prove to the court's satisfaction that you did everything possible to track him down in order to finalize the divorce. In California, after you file a Petition (form FL-100) for divorce, you provide your spouse a copy of the Petition and a Summons to appear in court. The Summons (form FL-110) notifies your spouse that you have filed for divorce, and provides 30 calendar days for your spouse to respond. The process of service requires a third-party – not a party to the divorce – to deliver the Summons and Petition to your spouse. California Courts require you to file a Proof of Service of Summons (form FL-115) with the court clerk's office, in order for the divorce to proceed.